Embraer has delivered the 500th Phenom 300 series business jet. According to General Aviation Manufacturers Association reports, the Phenom 300 is the only business jet model to reach this milestone in the last ten years. Being the fastest and farthest-flying light jet, the Phenom 300 has set multiple speed records, certified by the National Aeronautic Association and the Federation Aeronautique Internationale. 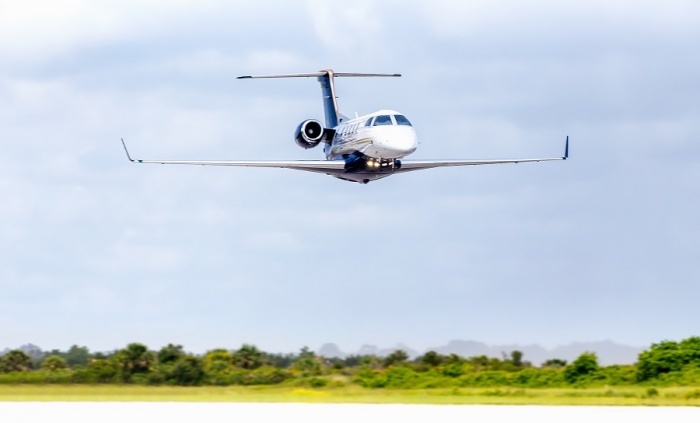 “The Phenom 300 has fascinated customers since it entered the market and its tremendous popularity only challenges us even more to continue to deliver the ultimate customer experience,” said Michael Amalfitano, president, Embraer Executive Jets. The milestone aircraft delivered today is the Phenom 300E, the newest edition of the most popular light jet. Freeman Pickett received his aircraft at Embraer’s Customer Centre in Melbourne, Florida and said: “The Phenom 100 served us very well for our trips throughout the Midwest, but as we began to fly more, with more passengers and to destinations farther away, we began to use a Phenom 300 to which we had access. “The Phenom 300E has the speed, range and capabilities that we now need, including single-pilot operation—a very important feature for us—with all the cabin space and comfort for everybody onboard, not to mention all the baggage space. Originally launched in 2005, the Phenom 300 entered service in December 2009 and has sustained more than half of the light jet market share since 2012. The aircraft is in operation in more than 30 countries, having accumulated more than 800,000 flight hours on over 600,000 flights over the past decade, carrying almost 2.5 million passengers over a distance that circles the earth 13 times, equivalent to a round trip to Mars.